Wildlings is a play group with a twist with Staffordshire Wildlife Trust! Come along and try new things outdoors. You could swing in a hammock, get mucky making a mud pie and sing songs around the campfire, all in our exciting outdoor classroom. 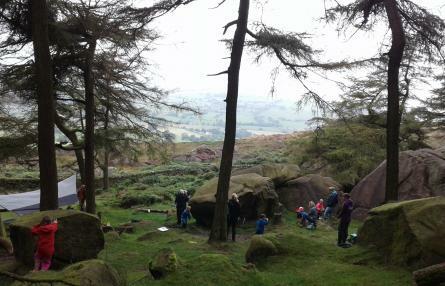 Wildlings at Lyme Park is scheduled in until Feb half term and the dates are 17th Jan, 31st Jan and 14th Feb. All sessions are free thanks to funding from Heritage Lottery. Follow the signs from the Playscape near the Timber Yard and meet us in Crow Wood. Facilities available at Lyme Park. Attendance is free but normal admission charges to Lyme Park apply.